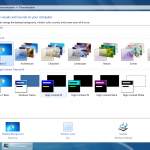 Right away, you can choose from among 7 Aero Themes, or download more themes online. I like to mix it up and make my own themes. 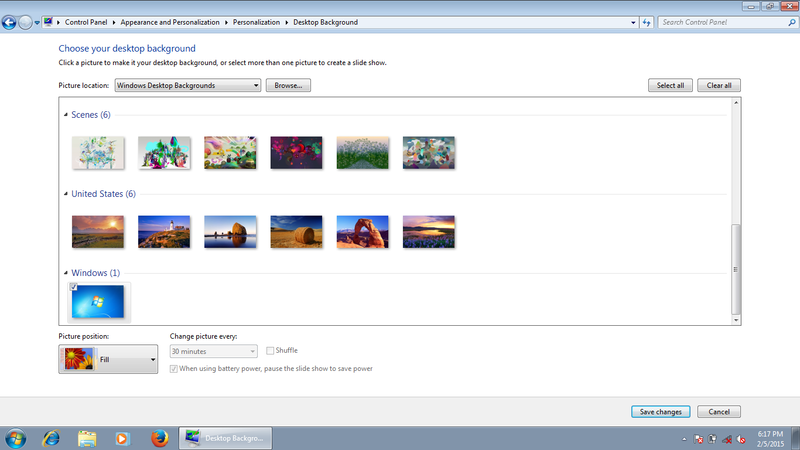 Starting with the Desktop Background, you can choose a picture from the default options, or from among any pictures on your computer. 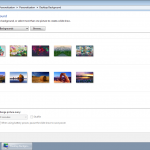 You can then determine how the picture is positioned on the screen, and whether or not it is shuffled (you’ll need to choose more than one picture, or a folder full of pictures, for that option). 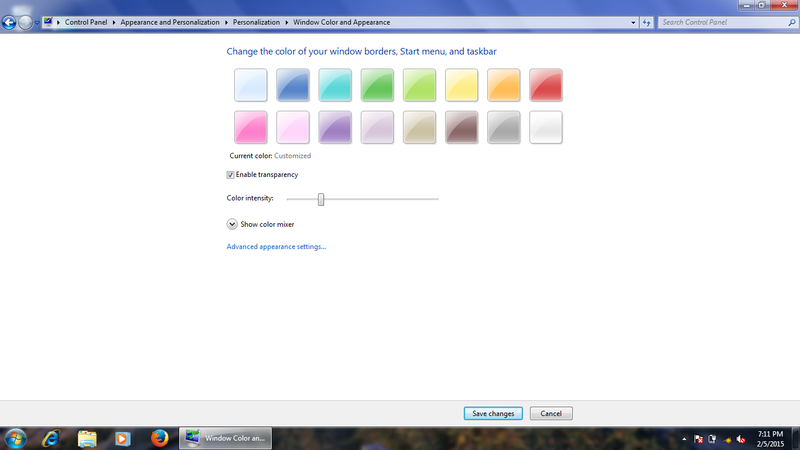 Next, you can change the Window Color to one of the sixteen available colors, or mix your own. 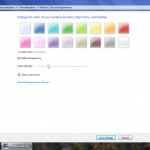 You can toggle transparency and adjust the color intensity. 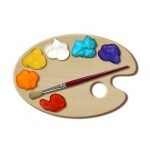 Changes are instant, so you can see right away whether or not you might like them. Sounds can also be personalized. 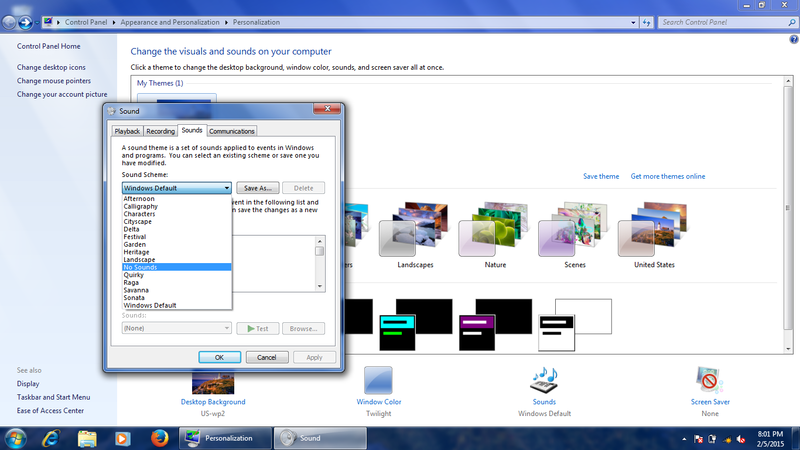 Because I find Windows sounds distracting, I like to disable them completely by applying the “No Sounds” Sound Scheme. If you like sound, but want a change from the defaults, you can explore the Sound Schemes available. 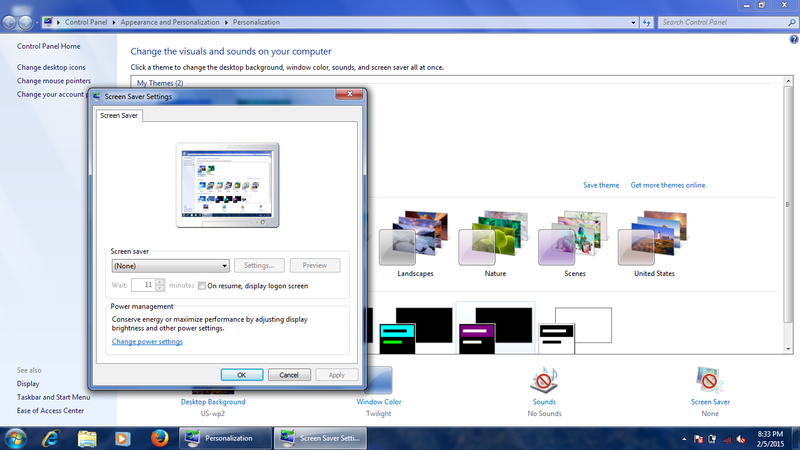 The Screen Saver is, by default, set to “None”. If you like, you can enable a screen saver and set up how much time has to pass without user activity before the screen saver is activated. Once you have put together a group of settings that you like, you can Save theme and give it a name. But make sure you’re done customizing that theme first – if there’s a way to edit it, I haven’t figured out how! 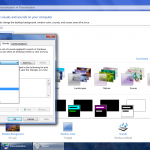 You can create a new theme just by starting to pick new options after the last theme has been saved, otherwise the changes to an unsaved theme will be replaced. 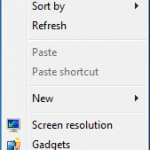 Old themes can be deleted by right-clicking each one and selecting Delete theme (but make sure you are using another theme first – you won’t be given an option to delete an active theme). 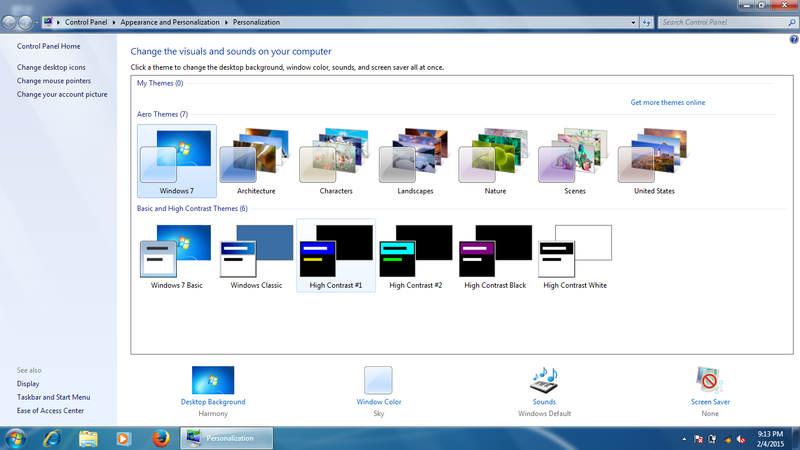 Aside from Themes, in the upper left-hand corner of this same Appearance and Personalization window there are several other options. 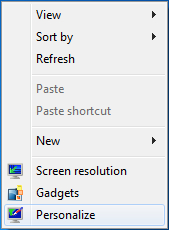 “Change desktop icons” is where you go if you ever accidentally delete the Recycle Bin off of your desktop and want to get it back. You can change the icon for each icon, but always use this feature with care to prevent confusion (unless, once again, you’re trying to play jokes on people). 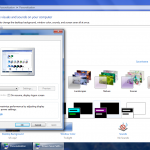 “Change mouse pointers” is a shortcut to the Mouse Properties, which I have previously outlined. “Change your account picture” is a shortcut to the User Account picture settings, which I have also explained.